Bad things can happen to good people. Bad press is the bane of reputations for both individuals and businesses. Brands have tried to control the way media portrays them through the decades. With the advent of internet and the all-pervasive power of search engines, this has only become harder. It was less common in the age of paper and ink for a negative newsprint or article to topple share prices or damage the marketability of a brand. However, Internet is one place where your information remains virtually forever. Not to mention, news publication sites are fiercely protective of their writers, content resources and freedom of speech. It is a fact that not many publications will give you the time of day if you request them to take down a negative article. Why? Malicious stories sell better than those of good deeds. However, do not worry because the following steps can help you remove or at least suppress or manage negative news and articles from Google search listings. Bad news travels very fast. Before attempting to remove a negative piece of news or article, first make a list of all the websites it is featuring on. An easy way to do this is by searching for the news or article title on Google as well as Google News. Evaluate the seriousness of the problem and get ahead of it. Remember this is not an SEO issue where your rankings will be affected, but a reputational issue. You need to think fast and act right away to salvage the situation. Create a strategy that will help preserve your reputation and neutralize the potential damaging effects of the news article. Google recommends getting directly in touch with the websites that have published a negative report about you or your brand and request them to pull down the story. However, because the administrators of these websites are so usually difficult to get in touch with (and often downright reluctant or unwilling to assist you), this exercise is more often than not futile. That should not deter you from trying it out. Luck could favor you at the most inopportune moment if you try. A pro tip here is to never initiate a request with a website owner in a threatening way. That could just make matters worse for you. You could always request the editors or site owners to publish a follow up where you can put out your side of the story. Be aware that this method can easily backfire if you are not careful with your words and actions. You are essentially giving the same people who wrote malicious or negative content regarding you and your brand an opportunity for further argumentation and publicity (of the negative kind). You need to carefully balance the risk of mitigating negative effects from the first article against the potential benefit of salvaging your brand’s value with a counter story. In the first scenario, you can fill out the online Google legal form. In the second situation, you can use DMCA takedown request to serve your purpose. It is important to note that you would require professional legal assistance in both cases. You would also need to provide lots of information and factual details to prove your point. So consider the pros and cons carefully. If you haven’t already claimed all web properties related to your brand name, then the time to do that is now. You can suppress or overwhelm the negative articles under other relevant and positive stories of your brand by using Google’s natural preference for authoritative websites in search results. 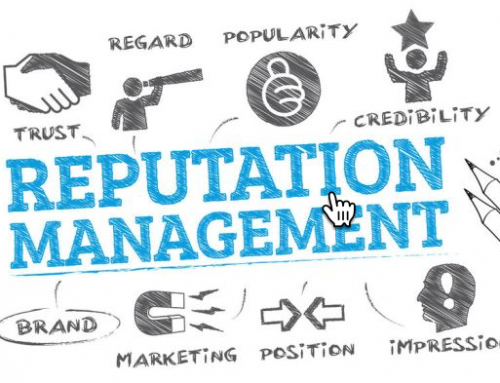 LinkedIn, Facebook, Twitter, and other similar platforms are powerful and authoritative when it comes to commencing an online reputation management campaign. However, you need to use these channels extensively and keep them regularly updated with latest information to make an impact. You would require a committed strategy and investment of resources to succeed in pushing down the negative stories about your brand. The best part about Google search rankings is that over 90% of the people never go beyond the first page. All you need to do to protect your online reputation is to sweep away all bad news and articles to the second page and beyond in Google search results. Negative news stories are not ranking high because they are negative. They are ranking because they carry your brand name. 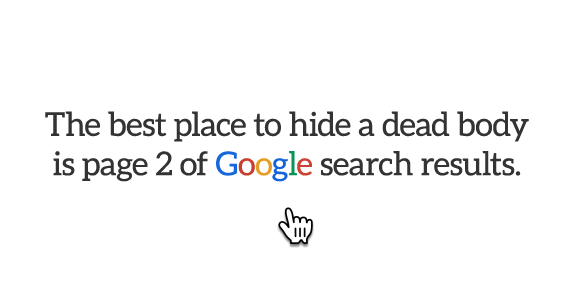 You can use Google algorithms to your advantage here. Create positive content around your brand and use effective SEO strategies to push those instead of negative stories. Make sure that your brand name appears in the title. This will be helpful in making it rank to answer brand related queries. You must push positive content as much as possible by linking it back to your website. You should also push it through your social media channels. Internet is a place where you will never be able to keep 100% of the people happy all the time. You need to place an effective and sustainable ORM plan in place to protect you from future reputational challenges. 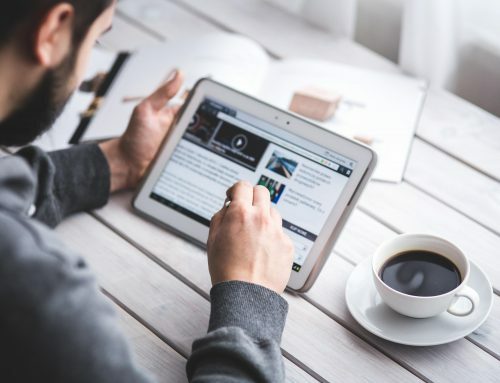 A solid ORM strategy will work to reduce the impact of negative news and articles on your brand before they even begin to show up. Proactively monitor your brand’s online presence and push related social media accounts to feature on page one of Google search. The best strategy for removing negative news and articles from Google search listings is to either request individual websites to take them down, or push them to the second page in Google search results through your positive SEO and ORM efforts. It is important that you keep a level head and focus your energy into attaining your goal by creating a strategy to counter a negative attack. Finally, remember that it never hurts to maintain positive relationships with key media influencers within your industry.